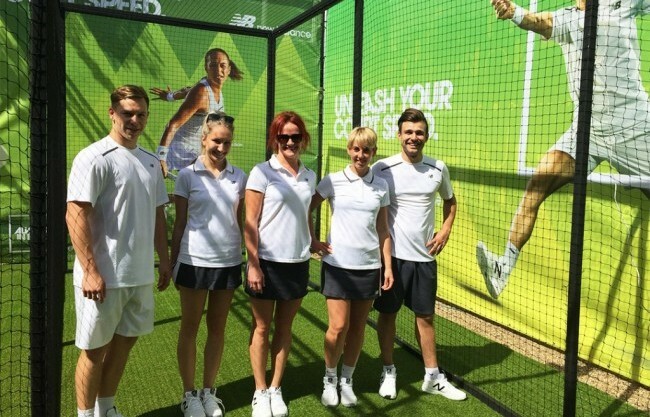 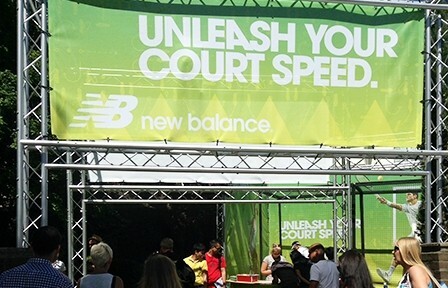 Create an Experiential Marketing campaign to increase New Balance’s association with the Wimbledon Tennis Championships. 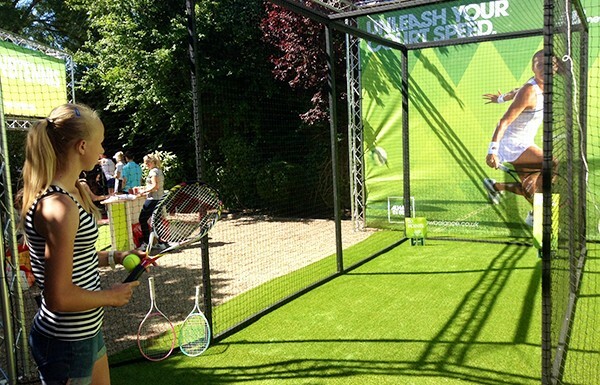 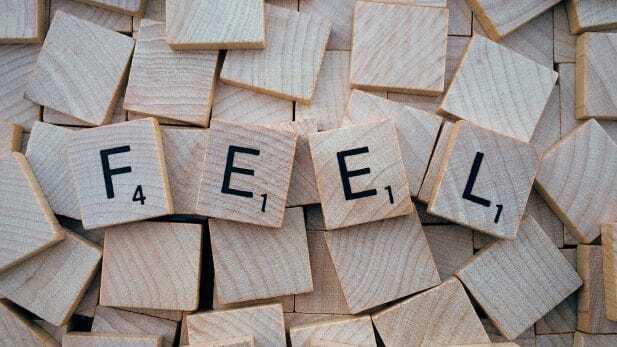 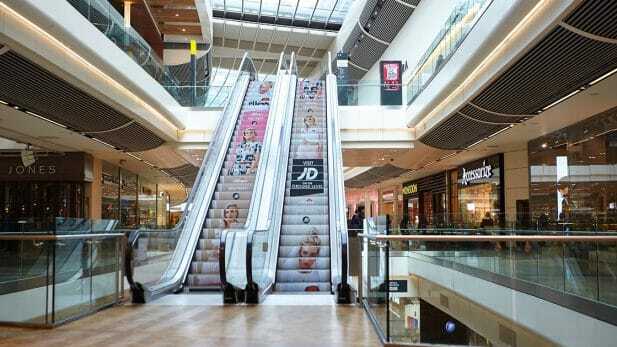 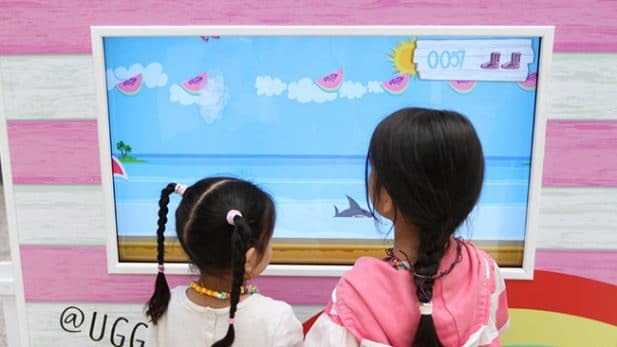 Create a fun and engaging brand experience. 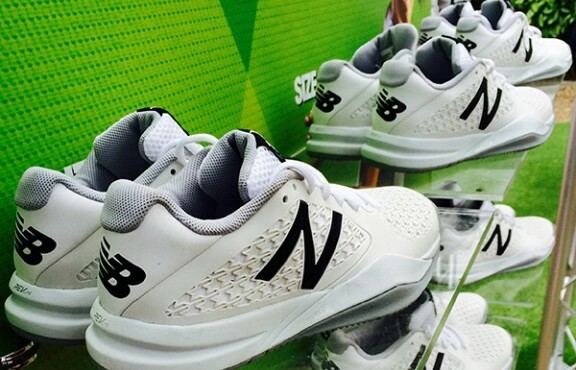 Create opportunities for tennis players to try on and test out the latest range of New Balance tennis shoes. 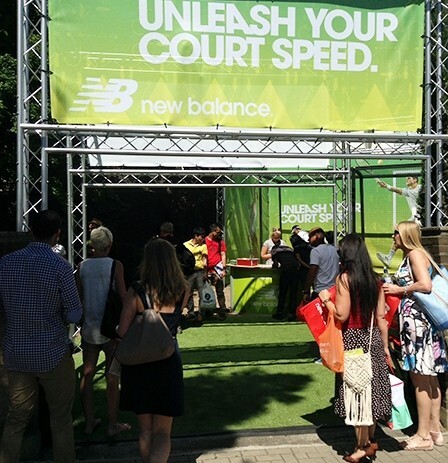 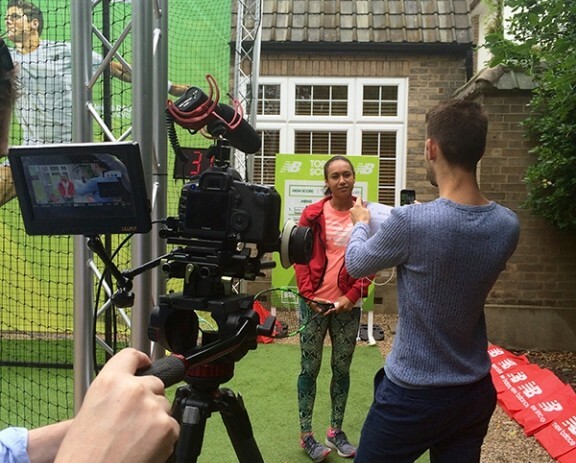 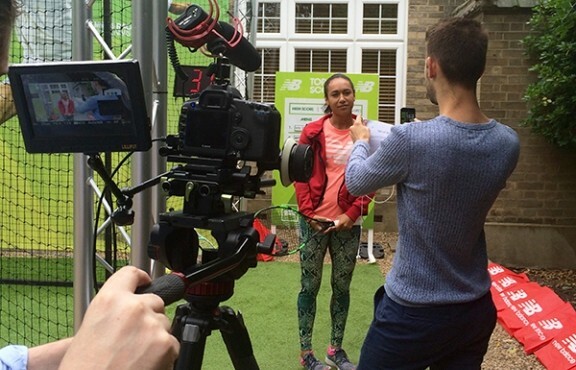 We created an engaging brand experience at the doorstep of the All England Tennis Club inviting people to ‘Test their serve speed’ and try on the new range of New Balance tennis shoes. The activity supported New Balance’s association with their sponsored players taking part in Wimbledon (Heather Watson and Milos Raonic) and created awareness and trial of the new 996v2 tennis shoe under the campaign headline “Unleash your court speed”. 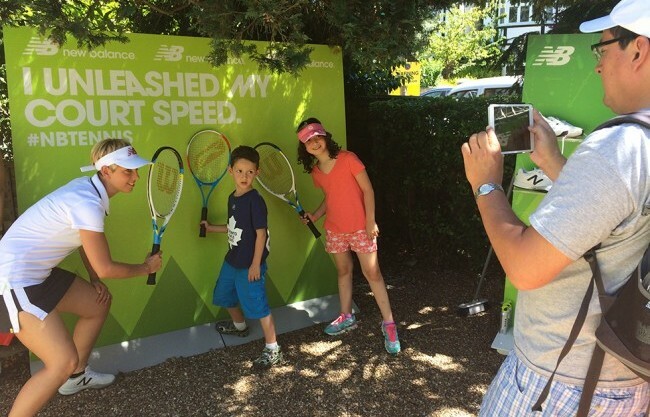 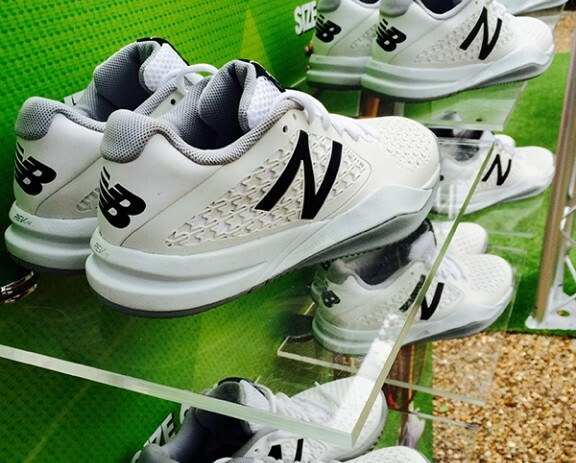 Tennis fans visiting the NB experience on the main route into the tournament had the chance to try the 996v2 NB tennis shoe, test their reaction speed, serve speed and accuracy – with the highest total scores winning a pair of the new 996v2 shoes. 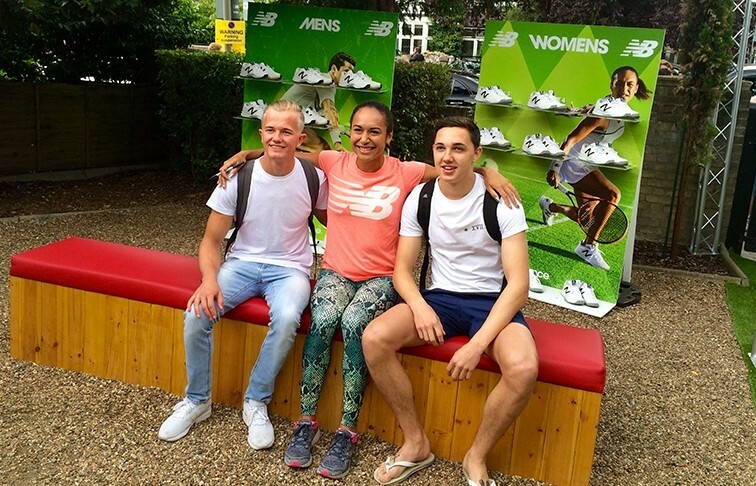 Heather Watson dropped in to test her speed and sign a few autographs! 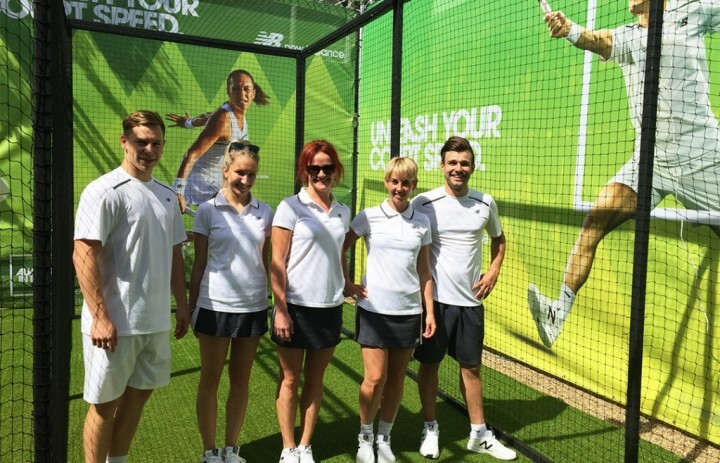 We saw some smoking fast serves during the 2 weeks, gave away thousands of instant prizes and had a great time in the process!